I can’t quite believe I’m now seven years post-op. What is it about seven years? Some urban myth that every single cell in the body has renewed itself in that time (skin is quick to renew itself in seven days, bones take longer – several to seven years, and it seems most other organs are somewhere in between). A sense of the span of life being lived in stages of seven years (7, 14, 21…) up to the biblical life expectancy of three score years and ten: 70. I think I do sort of subscribe to that ‘new body every seven years’ idea. Yes, that fits, metaphorically at least. I am new. I am certainly in a new skin. I almost feel now as though I never had breasts. I can remember having them but I don’t any longer have an acute physical recollection of how that felt. I look at old photographs of my breasted self and feel less connected to her than I do to pictures of myself as a young, flat-chested child. The seven years have worked their own magic, that’s for sure. I am a different person. After the relief of the surgery, these have been very full years of writing and teaching, and rearing our son. Years of giving thanks for time, for each day. For each hour or email correspondence with a friend. Every full moon. News of every new baby’s arrival. There have been losses too. In March 2009 my father-in-law died, followed three days later by my mother-in-law. They had been married for more than sixty years. A few months later, my own father died. My first cousin died of breast cancer in October 2010 – she was 58. Quite a number of dear friends have also gone during these seven years. Many other friends have lost loved ones, too often prematurely. The ranks are thinning. I am more and more aware of my mortality. But in a good way – for I think it is good, not morbid, to be constantly aware that this life is finite. The edge is a necessary edge. I began with the sense of shock that it has been seven years since I had risk-reducing bilateral mastectomy. But apart from the idea of being in a new body, why does seven make me sit up and take notice? 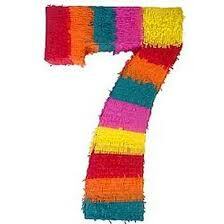 Seven is significant, powerful, magical. We all know that. For ancient Egyptians seven was the symbol of perfection, completeness. There are seven days of Creation, seven Christian sacraments. Seven deadly sins. Seven virtues (can you list them? they are less well-known than their sinful siblings). The Hindu scriptures are full of sevens: seven chakras, seven planes of consciousness. There are seven heavens for Islam, and seven doors to hell. The rainbow has seven colours. It goes on and on. Perhaps my seven years awareness is just a deeply imbedded cultural alarm-clock. Seven is so forceful as a concept that I simply want to say: Look, it’s been seven years! A reason to think about how these years have been. Another reason to feel grateful. I do have an actual physical seven-year itch, too, to remind me of the change. It is nothing serious, and no-one can explain it. Every now and then the scars on my chest decide to itch. Like what? Like a thousand mosquito bites. Like severe sunburn when the skin is about to peel off. Like a strange joke – Thought you’d forgotten about us did you? And the only thing I have discovered that will relieve the itching is to scratch my own back. Or have someone scratch it for me. It must be something to do with the way the nerve supply works. Crossed wires. All back to front. Magic.